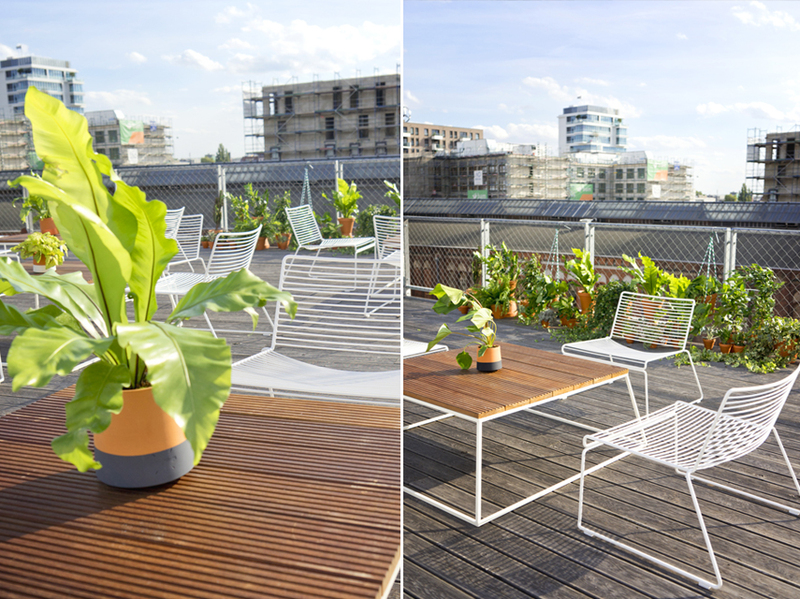 Today we’re happy to share part II of the Jungle Styling project we worked on in Berlin last month. 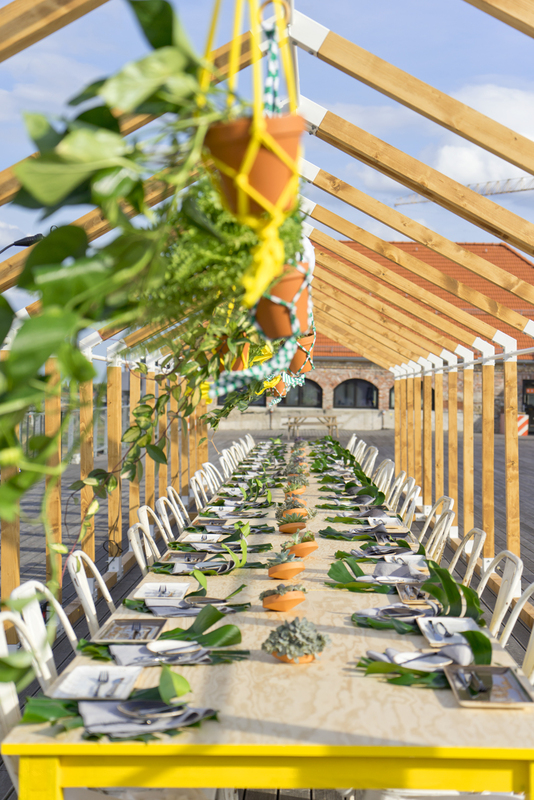 As you saw in part I we created a lush jungle hangout for 30 fashion influencers that were invited to attend the Bread and Butter show by Zalando. 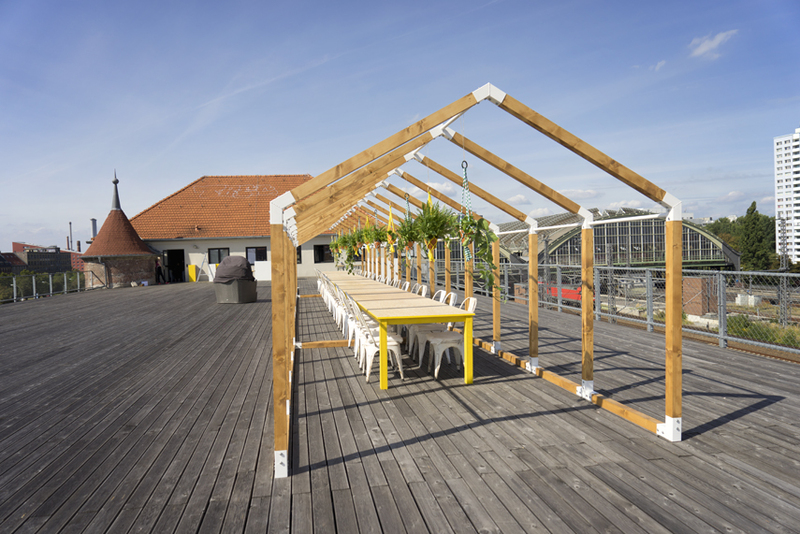 But brunch alone is not enough, right?! 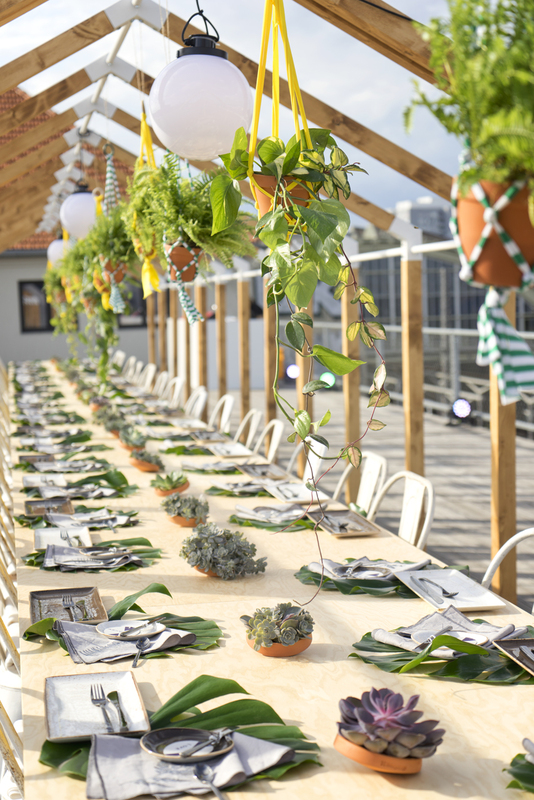 We also worked on a fantastic rooftop location and turned it into a planty setting for the Saturday night dinner. 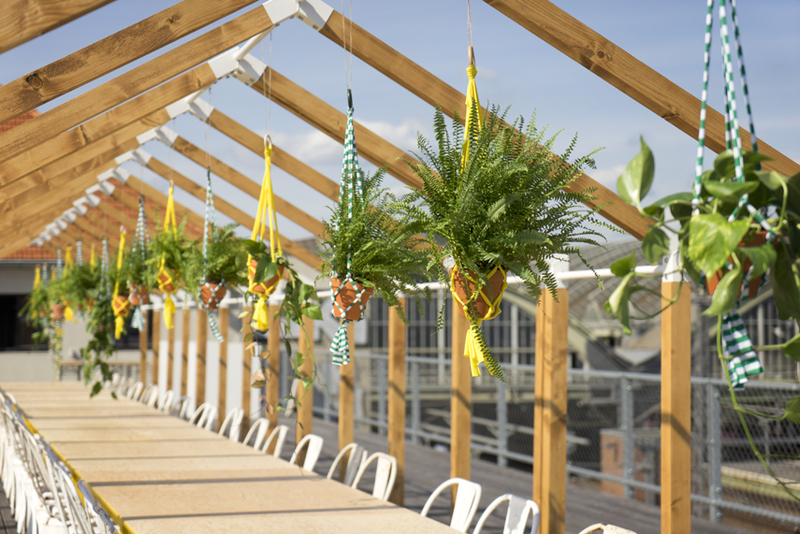 A wooden “house” structure was the base of the design, to which we attached plant hangers from fabric yarn, that we created following the DIY in the #urbanjunglebook. 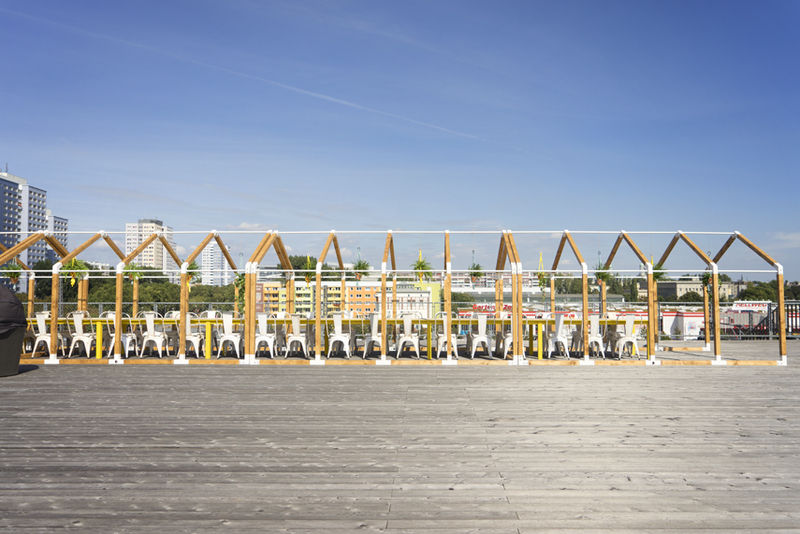 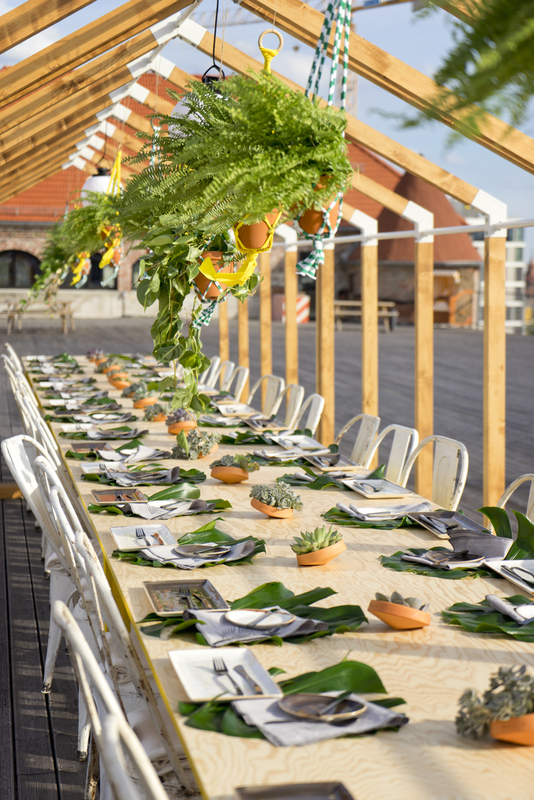 It was bright and sunny in Berlin when we set up the rooftop dinner, but there was so much wind that we had to cancel all the beautiful candles and Eno studio candle holders that we planned to use. 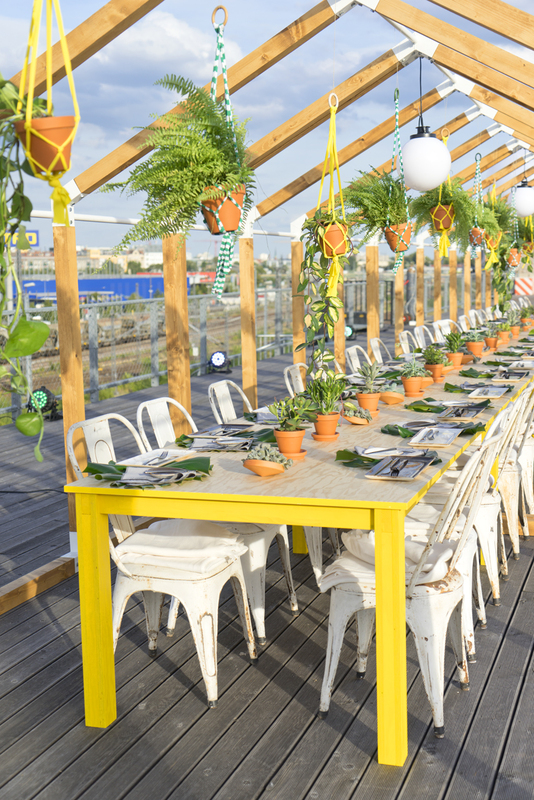 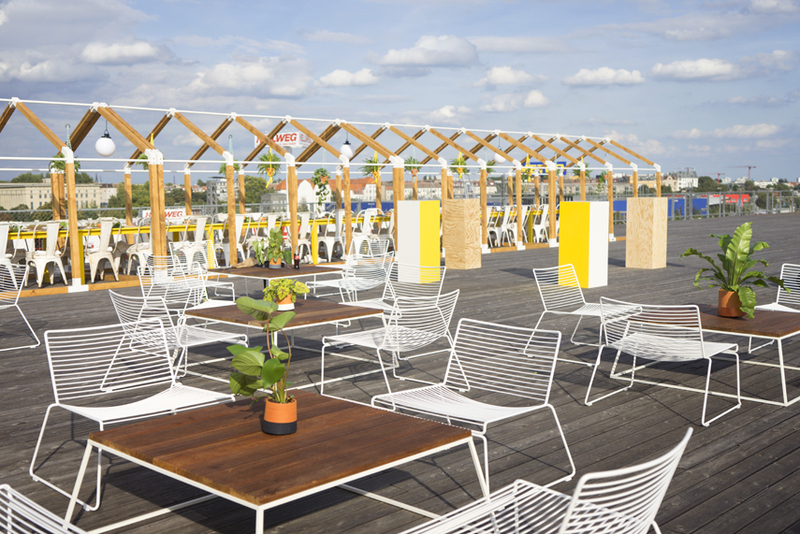 No candles, but lots of greens, terracotta pots and pops of yellow made for a fun rooftop dinner location. 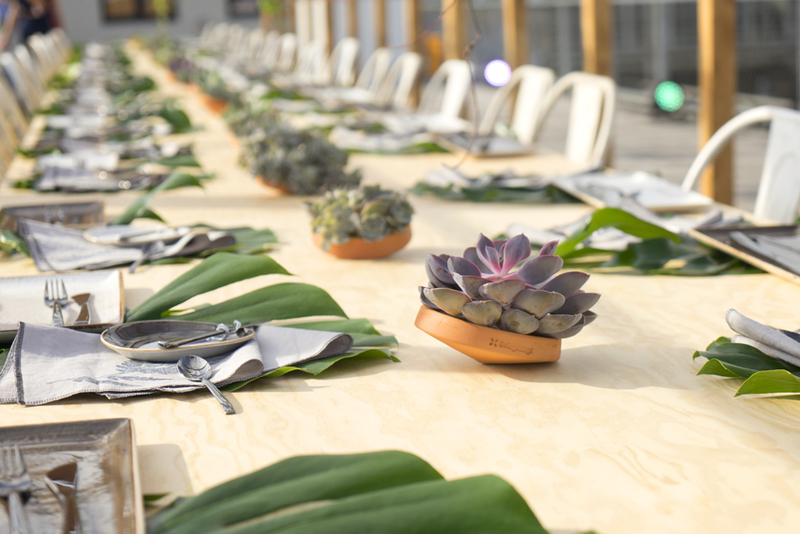 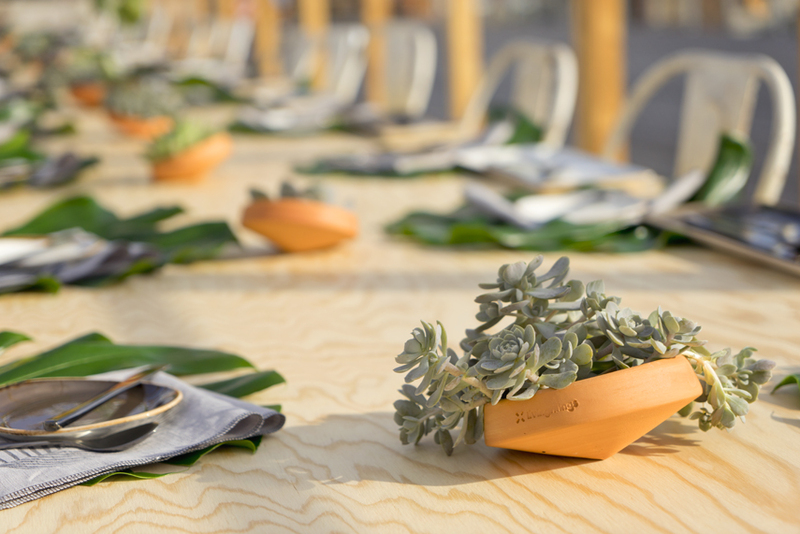 Together with the talented ladies from 79 Berlin, we styled the table top with ceramic plates and hand-stamped napkins with botanical patterns, presented on large Monstera deliciosa leaves used as natural placemats. 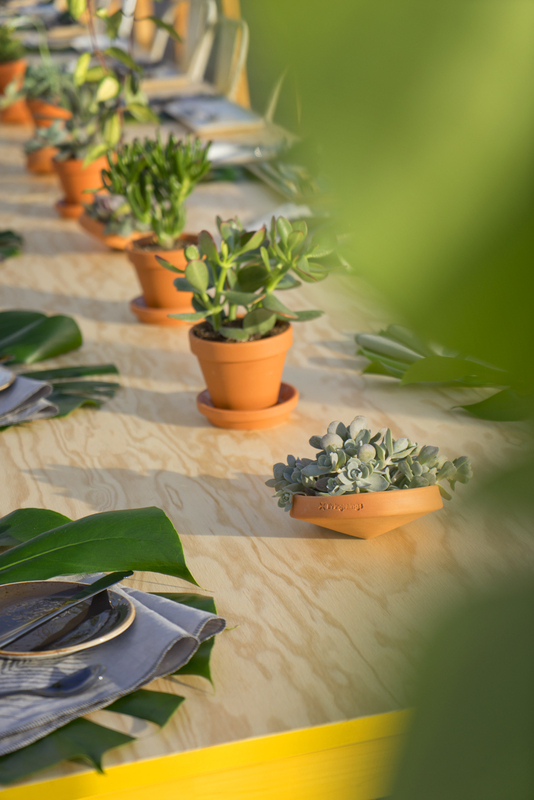 We used Green Dots by Living Things as a “botanical table runner”: these small terracotta bowls are perfect for small grasses or crass, but also look really nice with different Echeveria succulents. 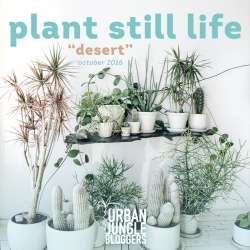 They tumbled in the wind! 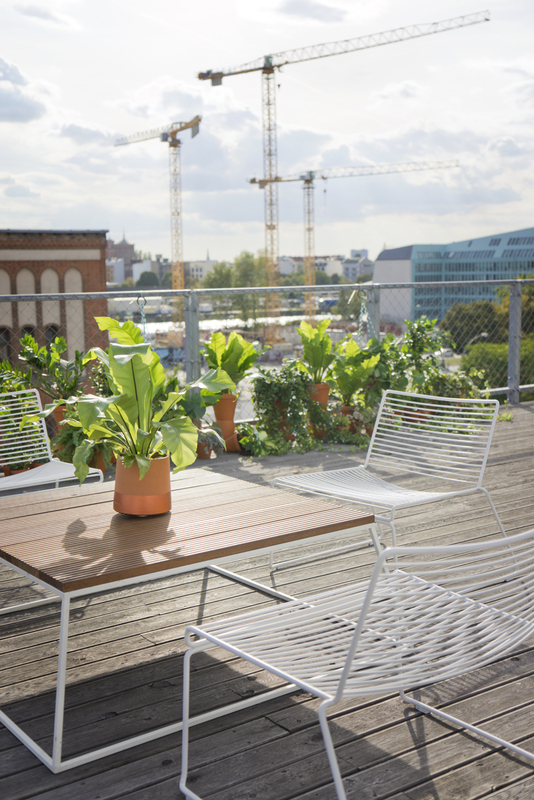 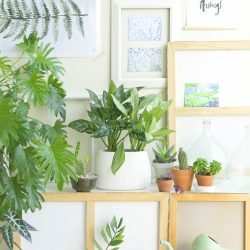 A big thank you to Living Things for the cool Green Dots, to Botanic Art for hundreds of beautiful plants, to 79 Berlin for the fabulous teamwork, to Rose Garden for the wonderful food, delicious Rose cocktails and behind-the-scenes-fun, and to Gebrüder Fritz and Zalando for working with us!